Hey y'all! GUESS WHAT?! It's that time again! NEW MONTH, NEW FFFC®! "ETI has been in business since 1969. They were the resin trail blazers, which is why you always hear “it is similar to Envirotex Lite.” They were environmentalists before it was even popular. They created the formulation for superior, clear, waterproofing that others have tried to match." 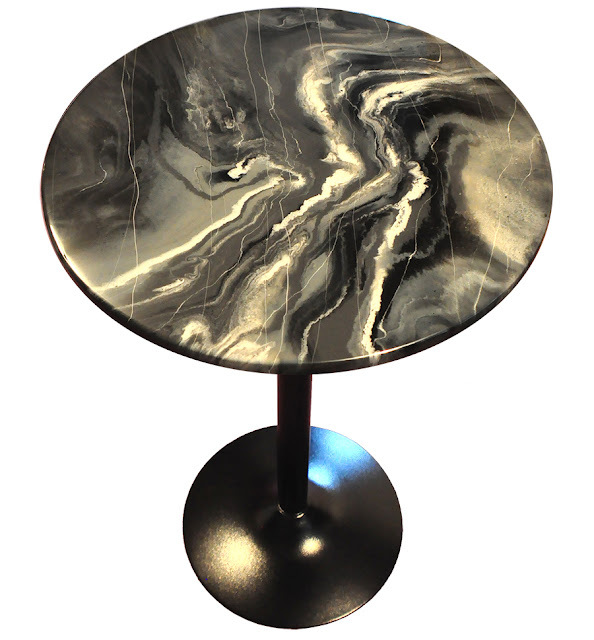 This month's theme is "Showstopping TOPS!". 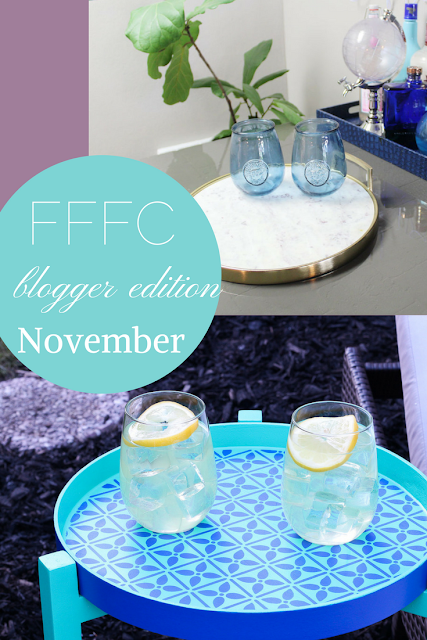 I can't wait to see what all of ours hosts and participants have for us this month! Speaking of our hosts...make sure you check them all out! I'd also LOVE to introduce to you this month's guest host, Sheri of Hazel & Gold Designs! She's kind of a resin ROCKSTAR! 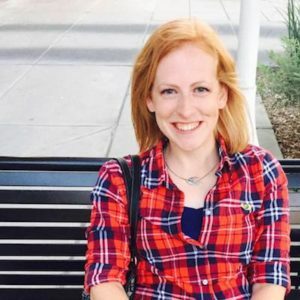 She'll be sharing an amazing inspiration post as well! Stay tuned to their blogs to see what they come up with, and stay tuned here to see what fun pieces our participants come with! Here's a video on the product our bloggers will be featuring this month from ETI. 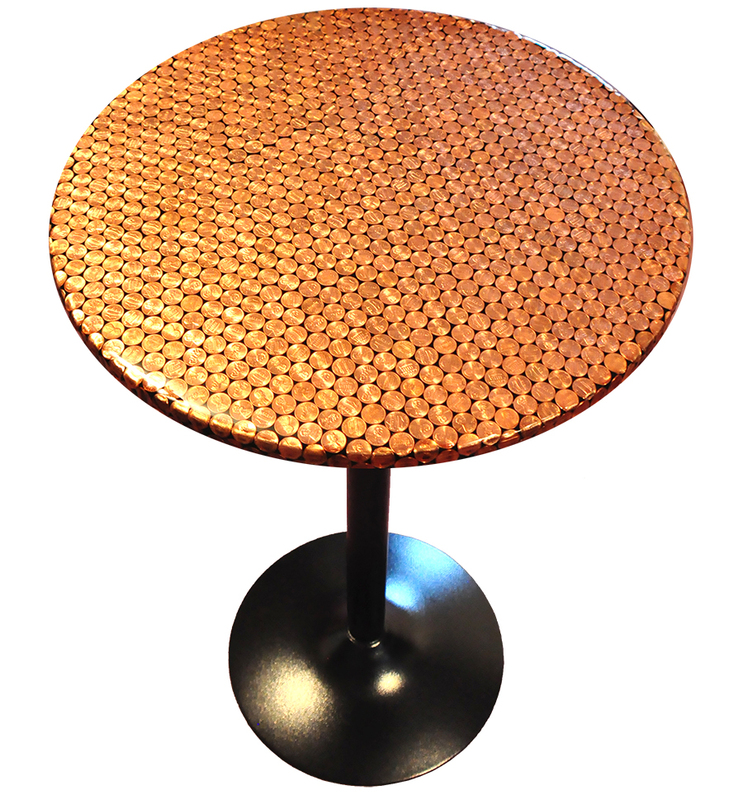 It's called Envirotex Lite Pour Onand it's a High Gloss Resin. Hi y'all! We are SO excited to launch today! WHY, you ask...well because it's NATIONAL MOD PODGE DAY! 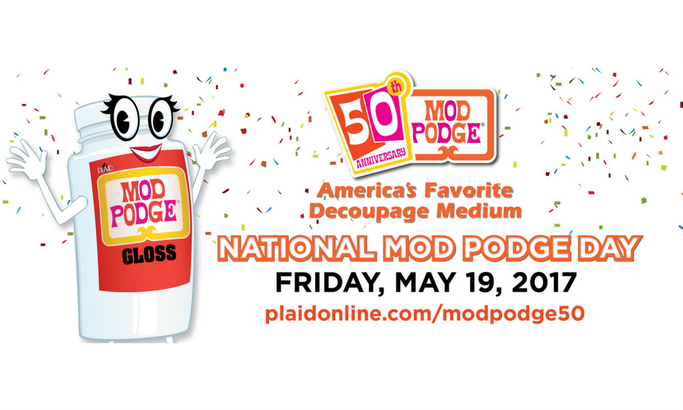 Our sponsor for this month is, you guessed it, MOD PODGE by Plaid Enterprises! We're over the moon happy to be helping Plaid celebrate the 50th anniversary of everyone's favorite decoupage medium! Make sure you check out all the different formulas and all about what they're each recommended for here! 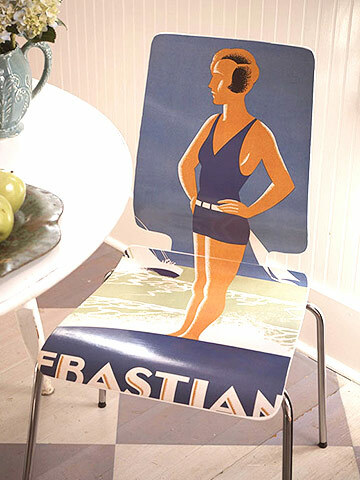 There are so many amazing things you can do with Mod Podge! Decoupaging furniture is such a blast! You can completely transform a piece into something chic, trendy and still affordable! 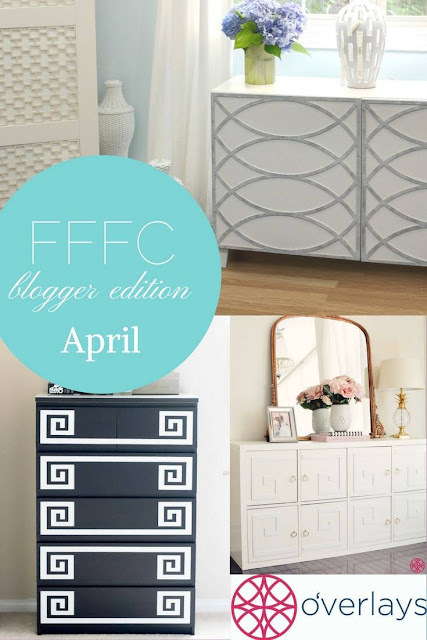 Make sure you check out Jessica's blog for her inspiration piece as featured host! I, for one, can't wait to see what this month's participants come up with! A huge shout out to Plaid Enterprises for sponsoring this month, and make sure you check their FB page out all day long for fun, creative live streams AND giveaways! 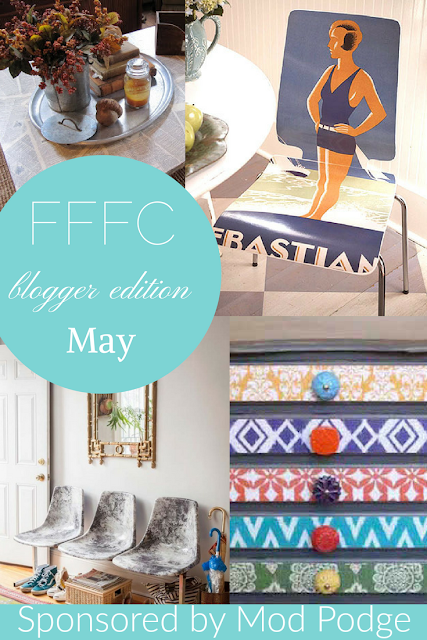 I'm so excited to see the entries rolling in for this month's FFFC®! Our Fab Sponsor for this month is a VERY cool company called "Overlays" that creates awesome decorative panels to spice up your otherwise drab furniture (even pieces from IKEA)! 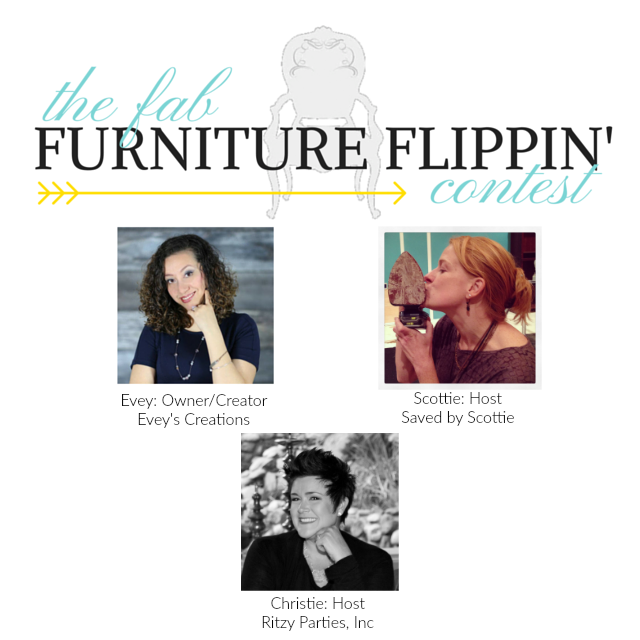 As always, we have some amazingly fab featured hosts for our contest, for this month it's Scottie and Evey. 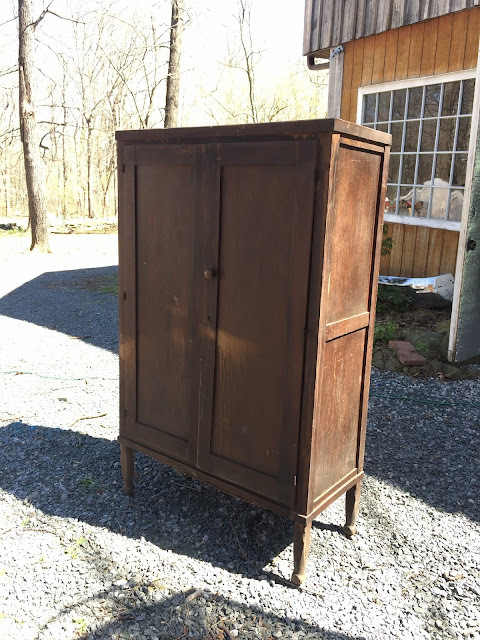 Make sure you visit Scottie's page for the entries as well as to see how she gave this piece a COMPLETELY new life! Seriously, the 'After' is AMAZING! 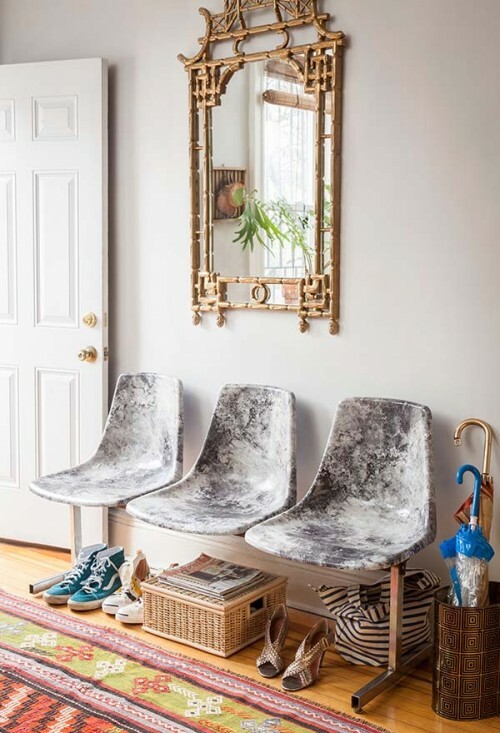 In the meanwhile, here are some of our favorite Overlays pieces from their wonderful blog just full of tips, tricks and Overlays inspiration! 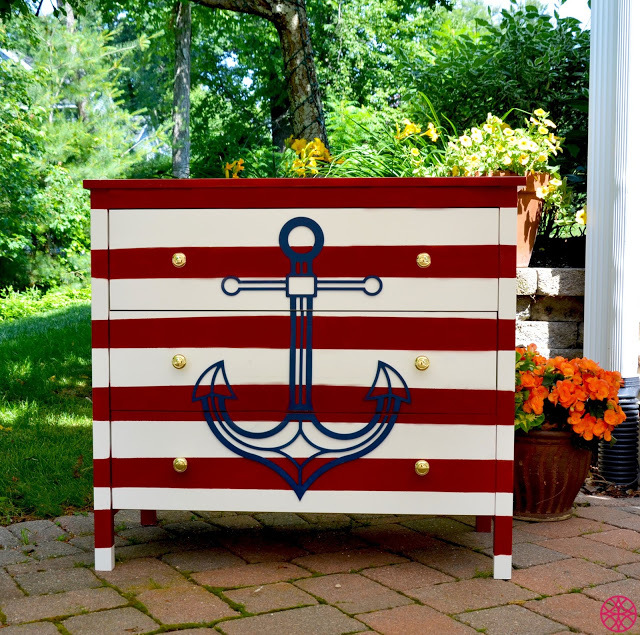 Isn't that anchor just SO SWEET?! 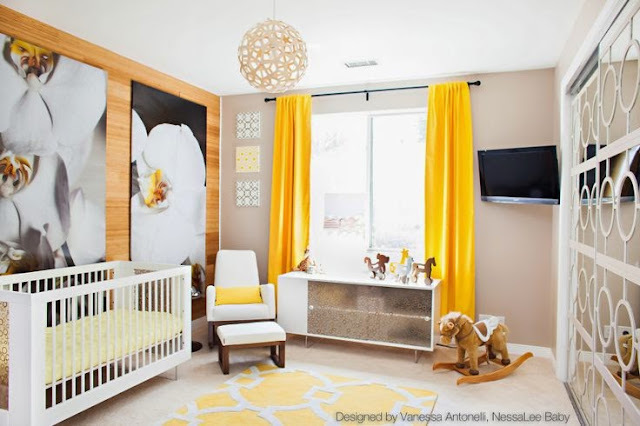 What about this INCREDIBLE space done by Vanessa Antonelli of NessaLee Baby?! She used the panels on some glass doors for a VERY sleek and uniquely modern look! So many awesome things you can do with these sweet panels and we can't WAIT to see what our participants do for their "Cut & Paste" entries using Overlays' panels! A huge thank you to our Fab Sponsor Overlays, and to our wonderful participants for their constant creativity! Hi y'all! It's that time again! New FFFC month! 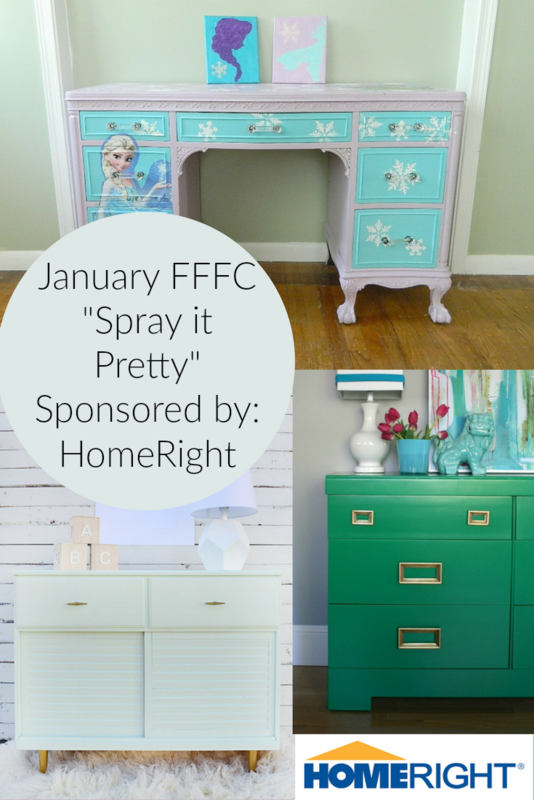 This month's contest is sponsored by HomeRight, who has sponsored in the past and the theme is once again, "Spray it Pretty"! HomeRight was awesome enough to provide our participants with some comp sprayers with which to complete their entries! 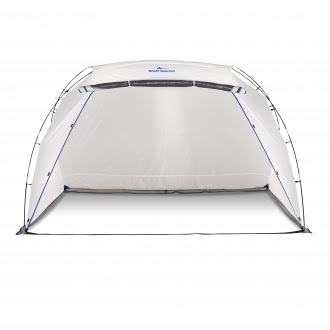 The grand prize is an exciting one...MORE HOMERIGHT GOODIES including this awesome spray shelter! 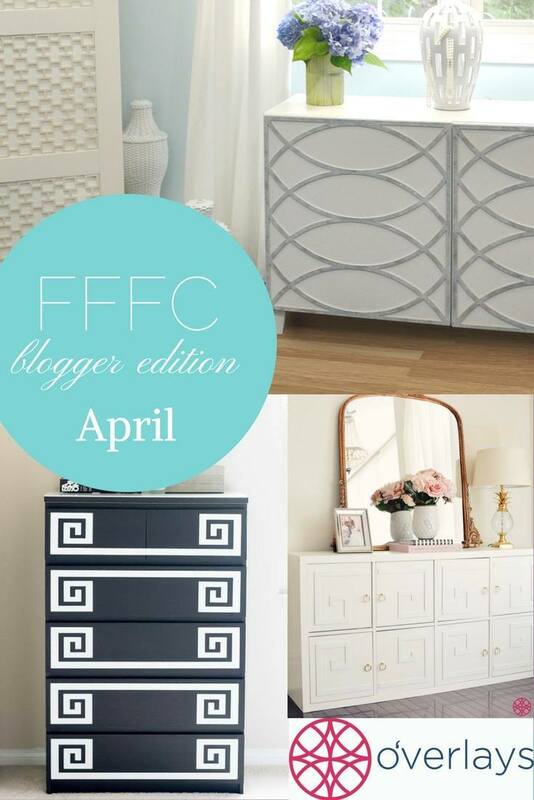 To see all of last year's entries, including the two gorgeous dressers done by BrePurposed and Saw Nail and Paint featured in the graphic above, check out this post. We've actually got some exciting news! We have some new hosts! We are also reviewing applications to add a few more! 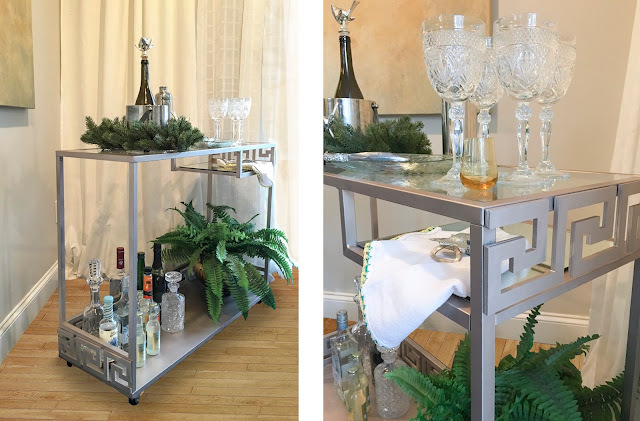 I'm VERY happy to introduce my two good friends, Scottie of Saved by Scottie, as well as Christie of Ritzy Parties, Inc.! 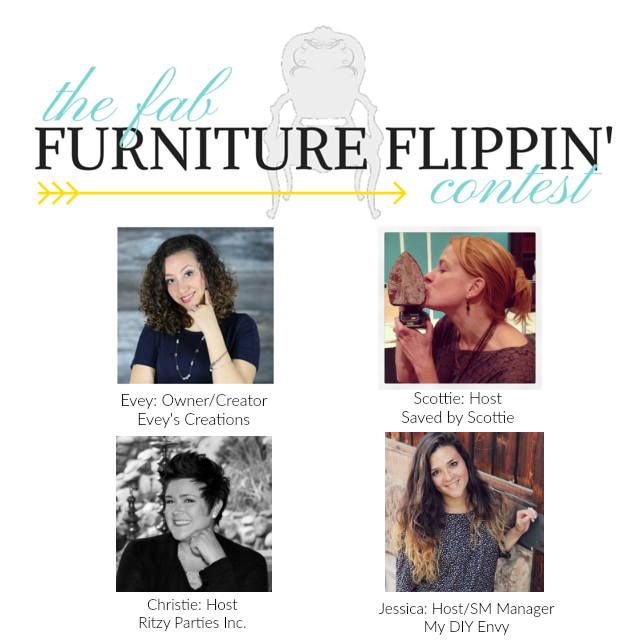 Both are SUPER talented furniture flippers and even more amazing people! You can read more about Scottie HERE and more about Christie HERE. I can't WAIT to see what these two bring to the FFFC table as I KNOW they are incredibly gifted artists! I also can't wait to see what our contest participants will come up with as they 'Spray it Pretty' with HomeRight this month! 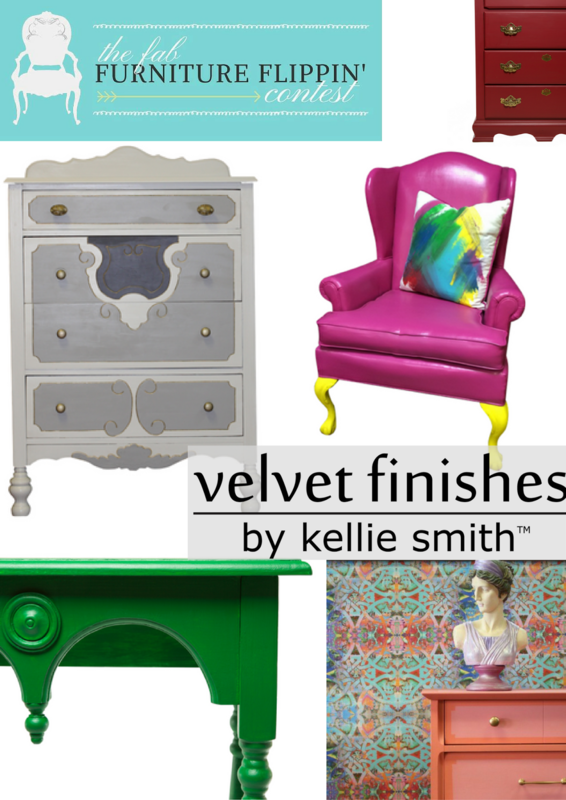 $250 Gift Card to Velvet Finishes Online!